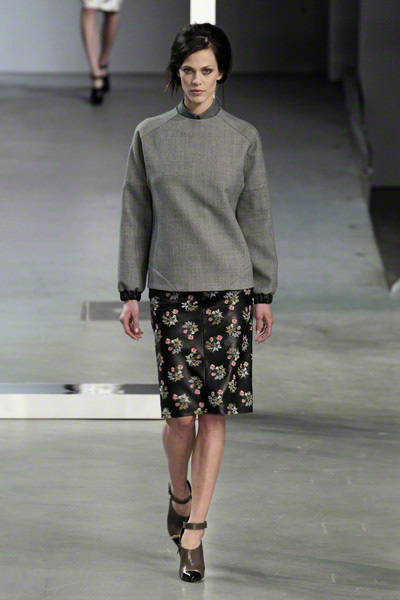 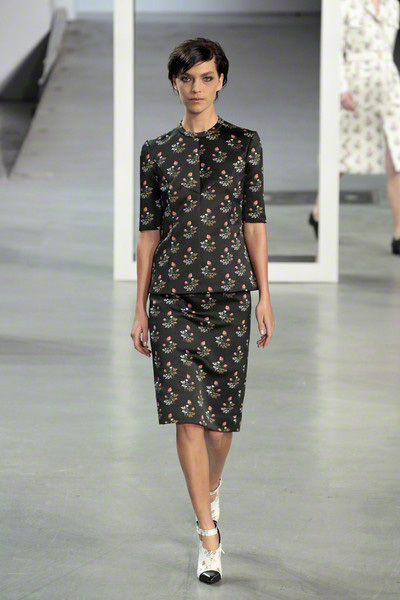 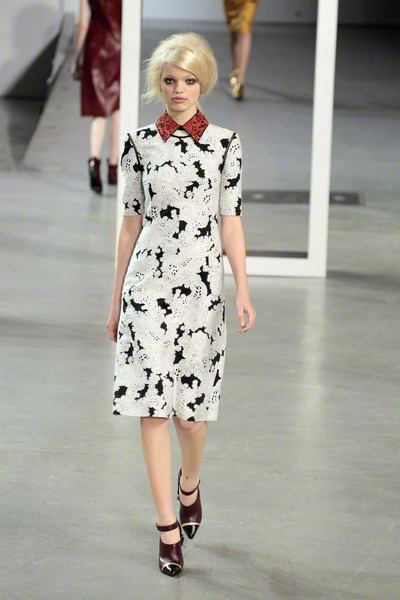 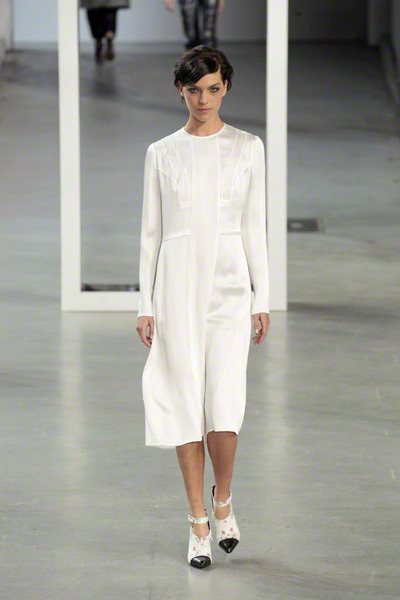 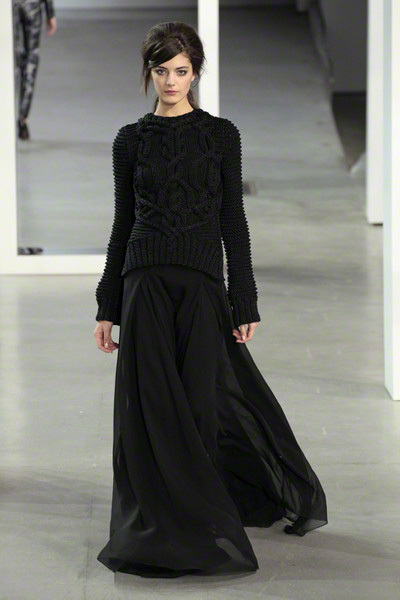 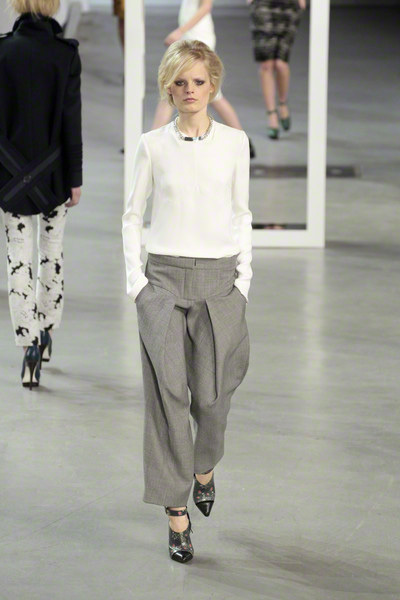 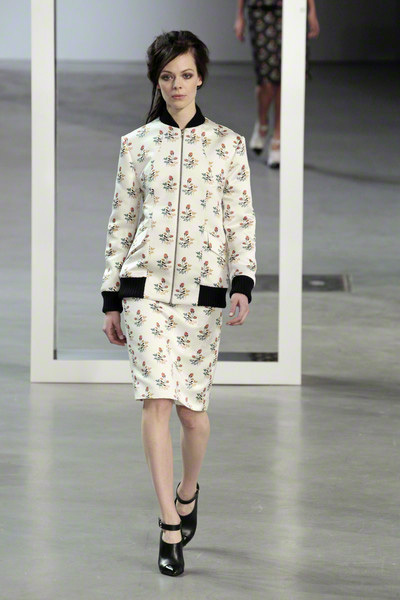 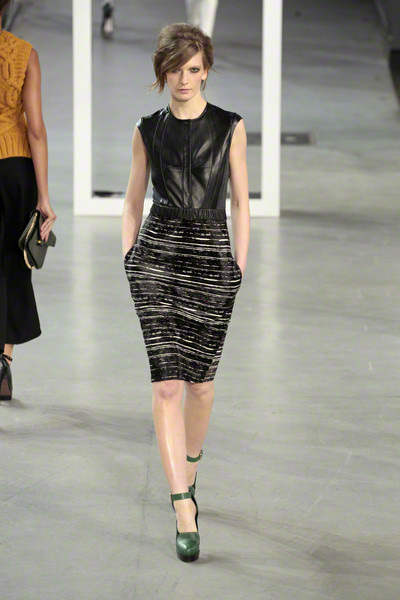 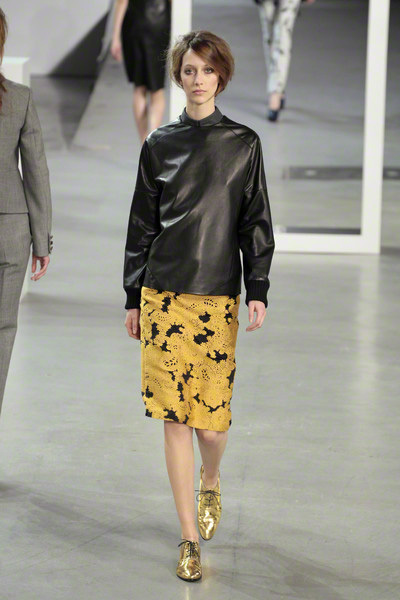 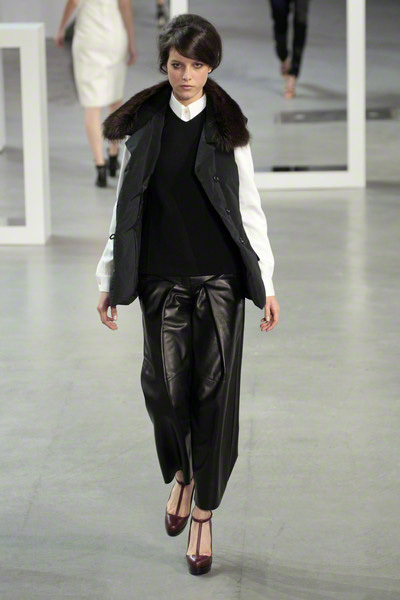 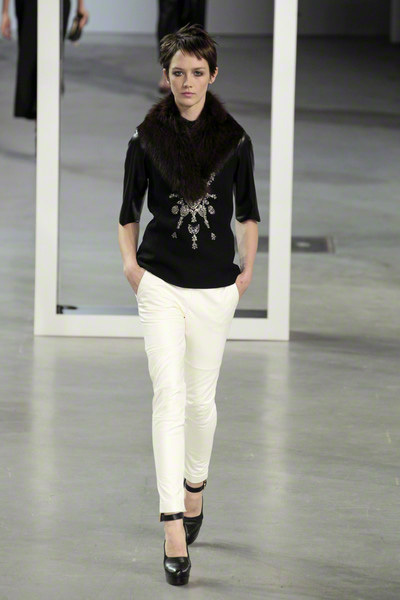 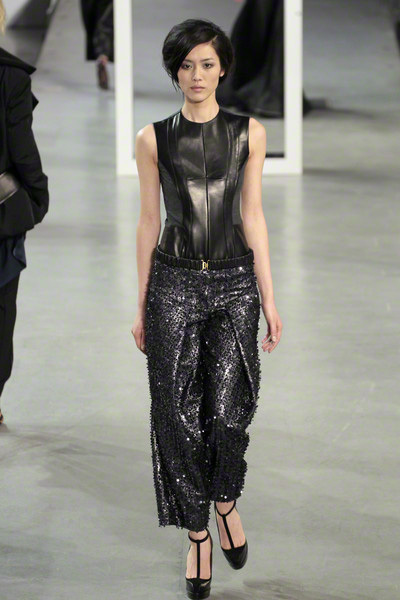 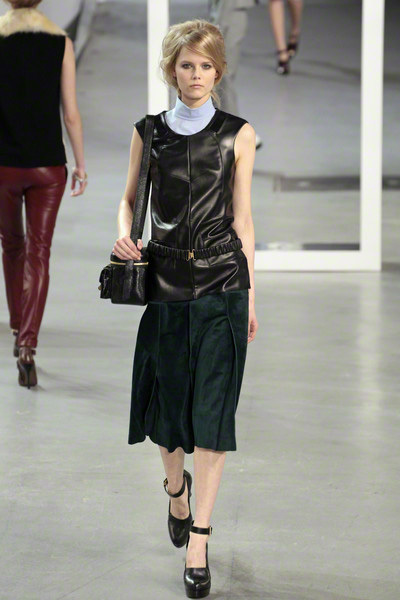 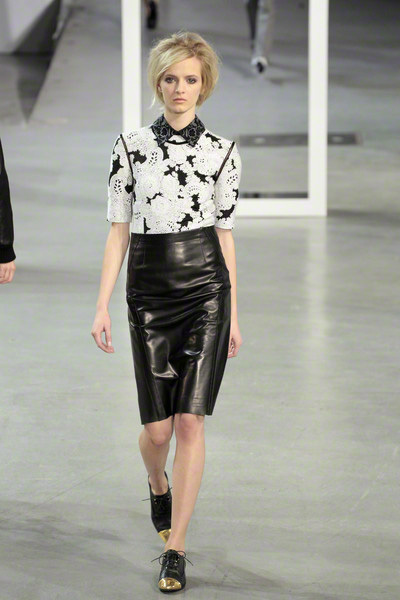 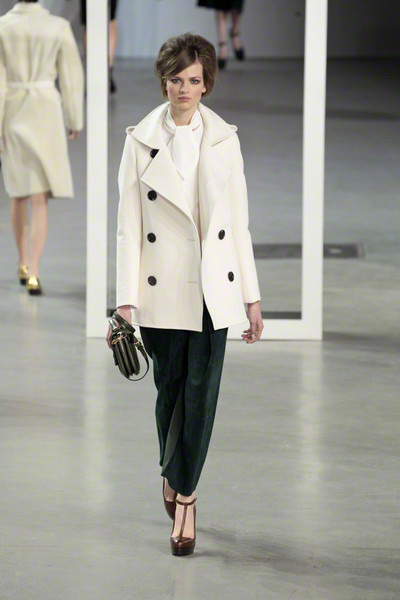 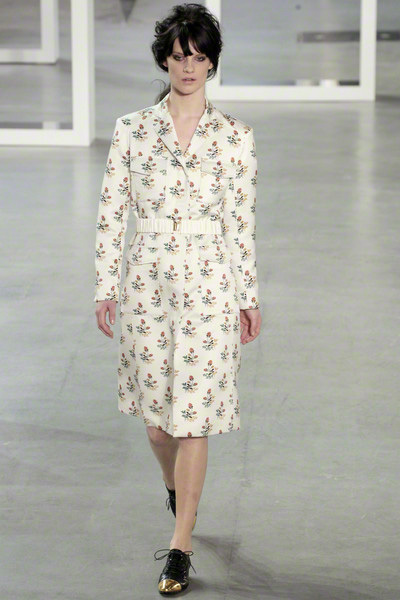 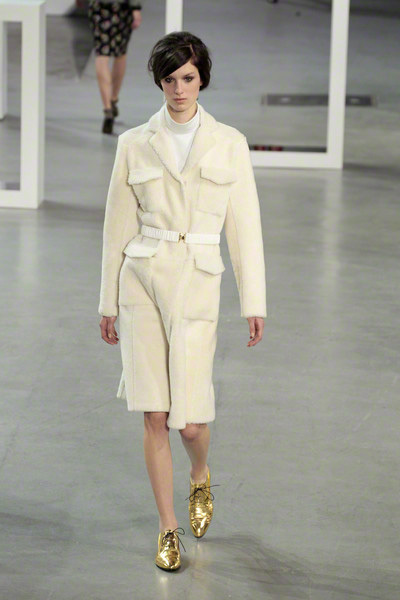 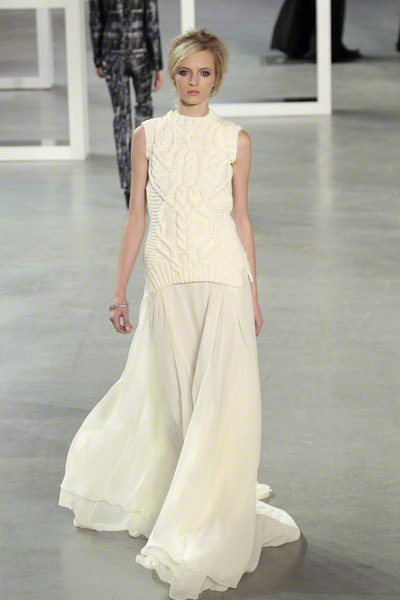 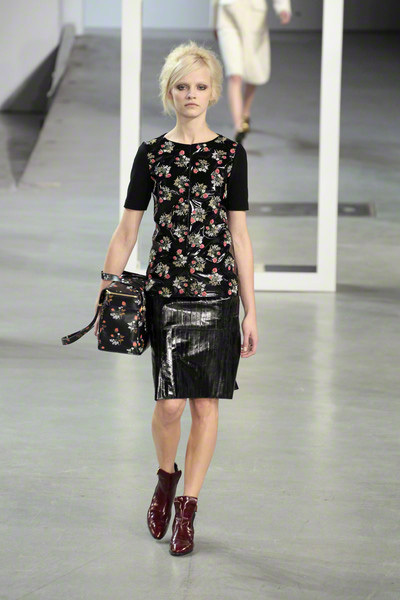 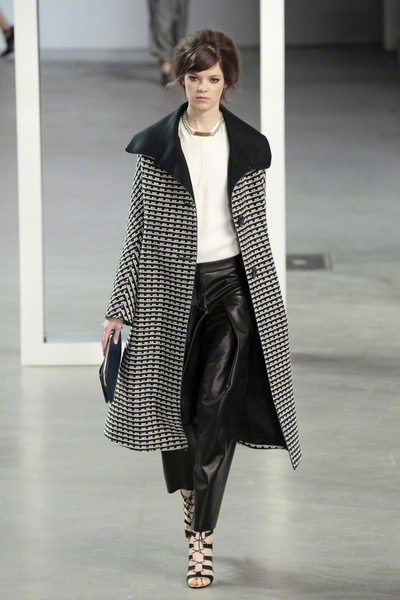 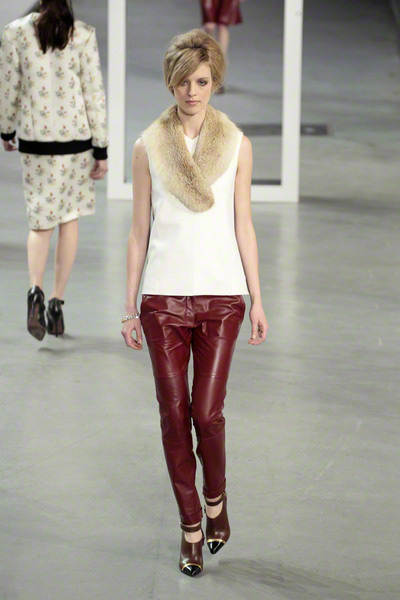 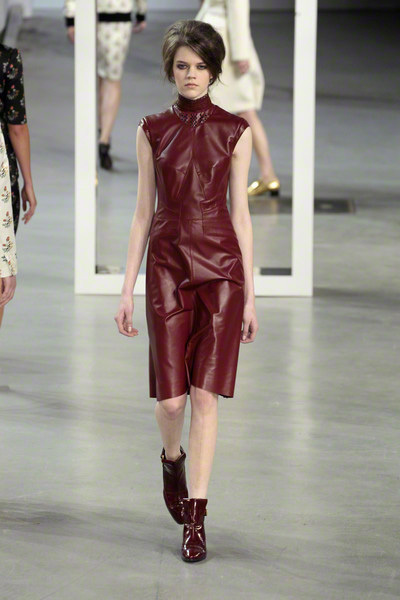 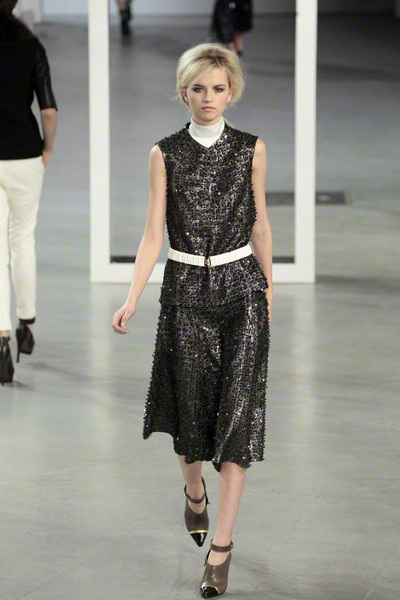 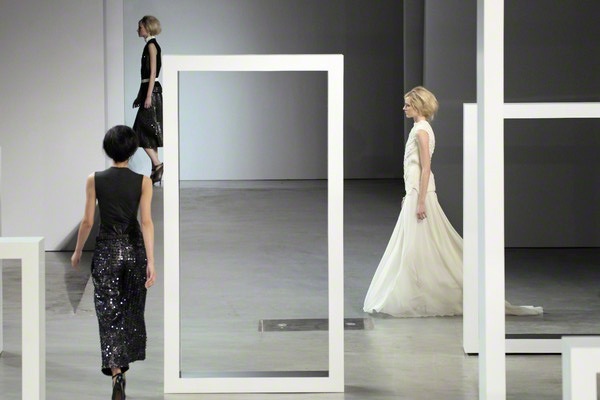 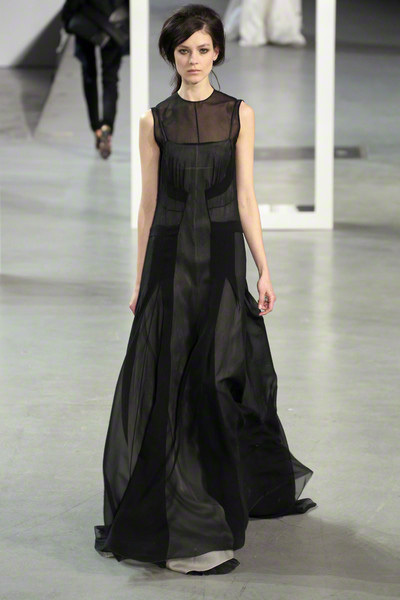 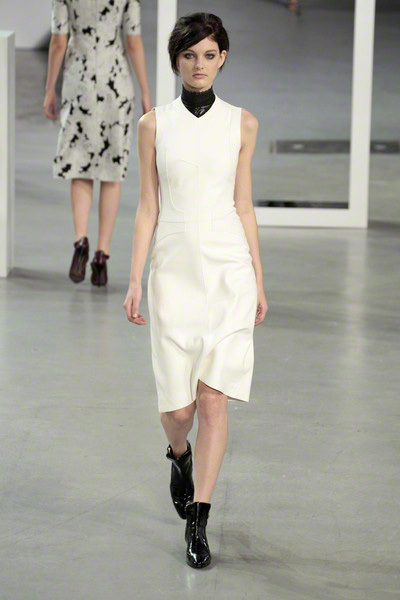 That was a clear and solid collection Derek Lam presented yesterday. 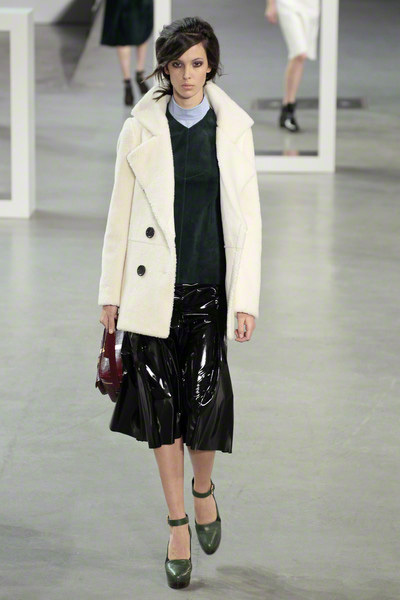 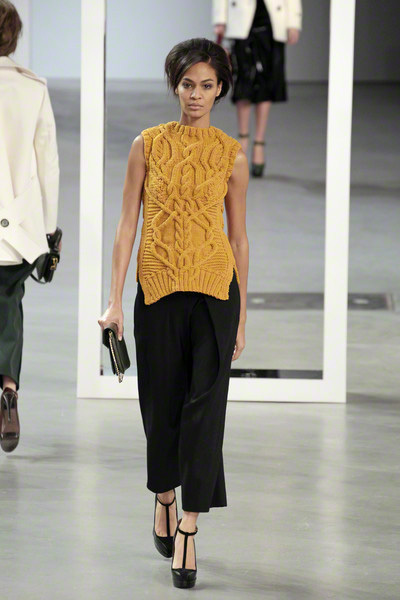 The core clothes were chic, minimalist separates warmed up with American classics, such as a navy peacoat and cable knits, all of which were boosted by exceptional details and fabrics. 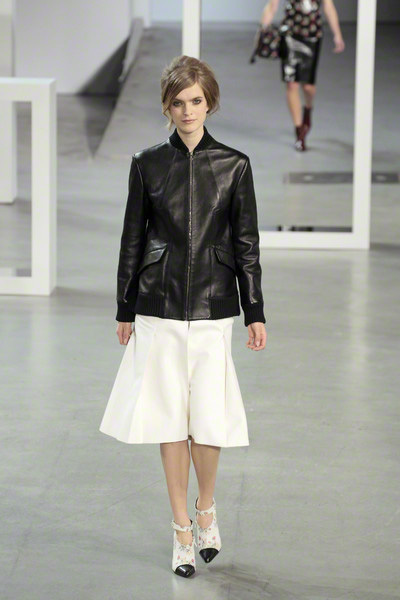 Leather was a mainstay, whether on fitted baseball jackets with knit trims and streamlined shells, or as an accent, as in the black lambskin shoulders on a long ivory silk gown. 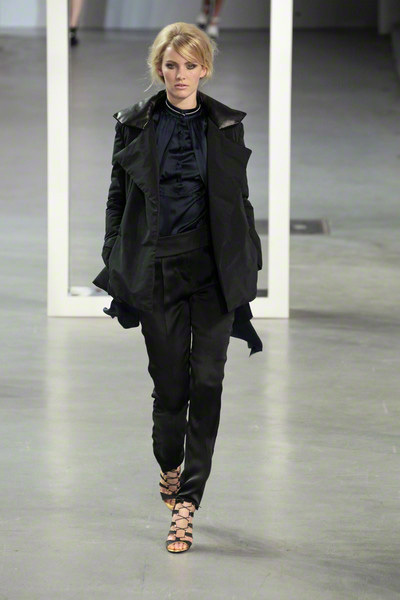 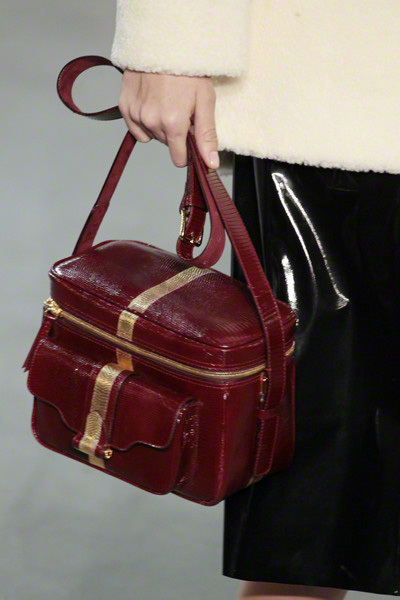 It gave the collection a luxurious edge.